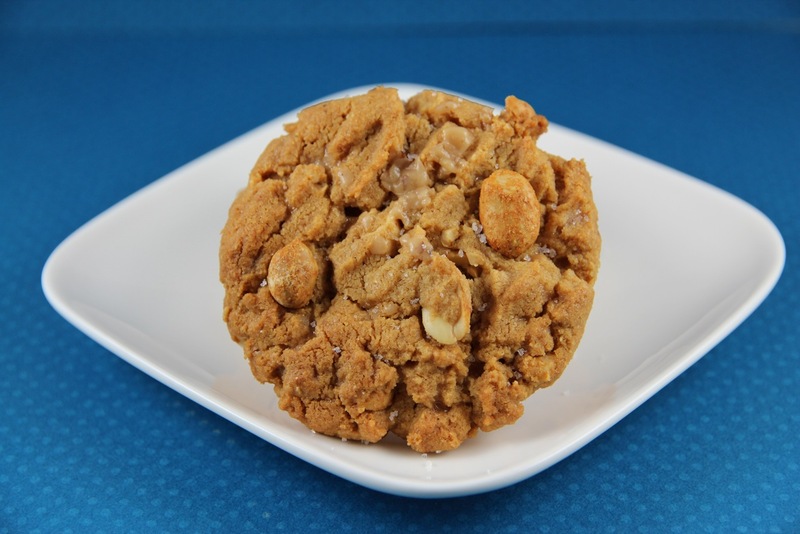 These are a classic peanut butter cookie base, in that they have that great sandy texture and are packed with peanut butter flavor. The recipe uses commercial natural peanut butter (such as Smucker’s); if you use ground-to-order or a hydrogenated Skippy style, you will not get optimum results. 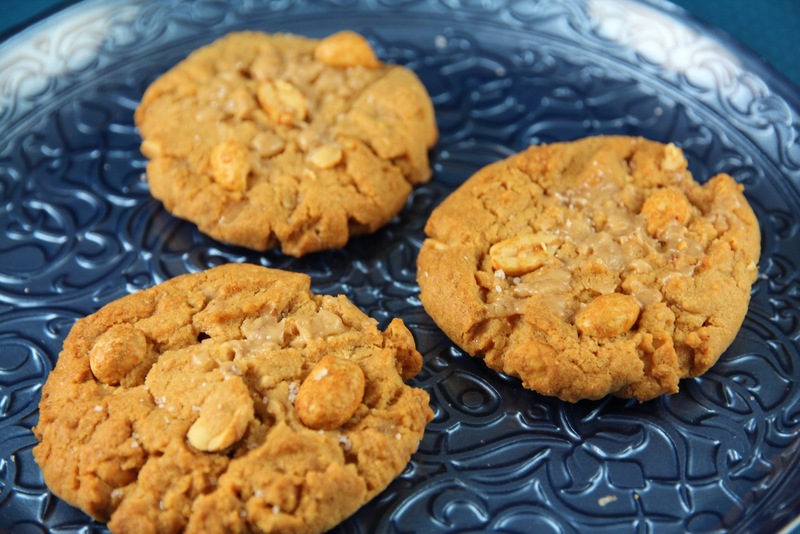 The extra salted peanuts add crunch, while the toffee bits add a sweet chewiness that plays off of the nutty/salty flavors perfectly. Whisk flour, baking soda and salt together in a small bowl to aerate and combine; set aside. In a large bowl with an electric mixer on medium-high speed, beat butter until creamy, about 2 minutes. Add peanut butter and beat until smooth. Add brown sugar gradually, beating until light and fluffy, about 3 minutes, scraping down the bowl once or twice; beat in vanilla, then beat in egg. Add about one-third of flour mixture and mix on low speed. Gradually add remaining flour mixture, mixing just until blended. Stir in nuts and toffee bits. Chill dough for at least 2 hours or overnight. (You may freeze dough up to 1 month; defrost in refrigerator overnight before proceeding). Preheat oven to 350 degrees F. Line 2 half-sheet pans with parchment paper. Drop by generously rounded tablespoon 2 inches apart on prepared sheets. Flatten cookies with a fork, leaving tine marks. The cookies might crumble and crack a bit. That’s okay. Bake for about 12 to 15 minutes or until edges and tops have just begun to turn light golden brown. Place sheets on racks to cool cookies for 5 minutes, then remove cookies from sheets and place directly on racks to cool. Store cookies at room temperature in airtight container for up to 5 days.